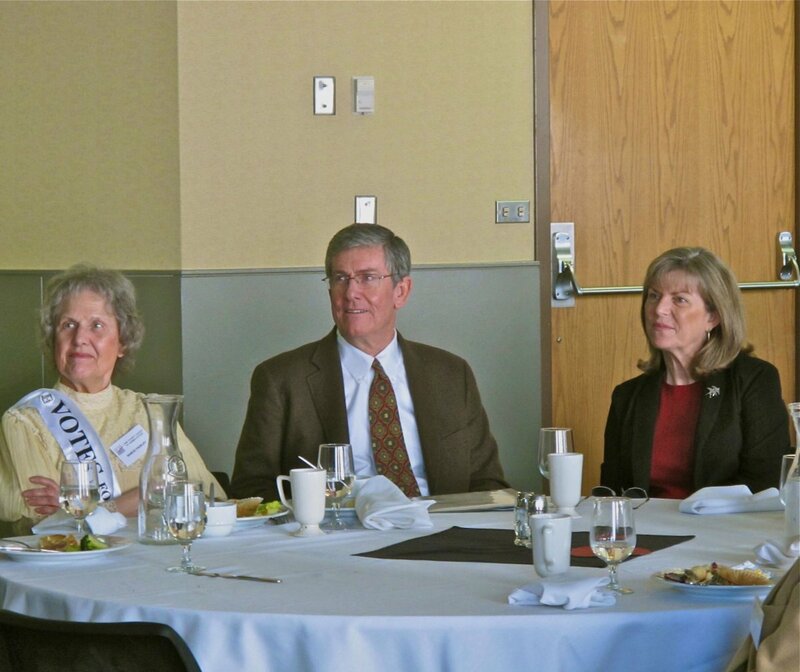 University of Oregon President Michael Gottfredson and his wife Karol attended the Lane County League of Women Voters monthly luncheon in Eugene on Thursday (Feb. 14) and the UO president spoke to the large audience celebrating the league's 93rd anniversary, Oregon’s 154th birthday and Valentine’s Day. Gottfredson pointed out the cross-over between the League of Women Voters and the UO’s missions to inform people and serve the public good. He then offered his personal history of attending a public university in California and how important it is to provide accessible higher education so that Oregon can continue to reap the benefits of an educated population. He emphasized the importance of the UO being a public research university that can attract the brightest faculty and students who work to make the world a better place, which benefits those in Oregon and beyond. Two bills in the Oregon State Legislature will help higher education. Senate Bill 270 will establish institutional boards for the UO and for Portland State University. The other bill that will help students, House Bill 2787, addresses tuition equity. The president gave testimony in support of that bill on Wednesday.